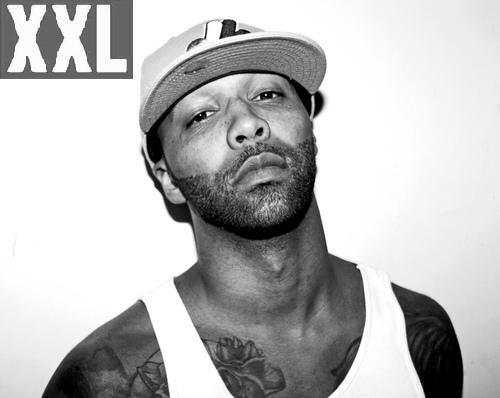 XXL Magazine | SyNaMATIQ = "Cin·e·Mat·ic"
The 2013 XXL Freshmen class & cover has been revealed. September 13, 2011 will mark the 15-year anniversary of Tupac Shakur’s death. 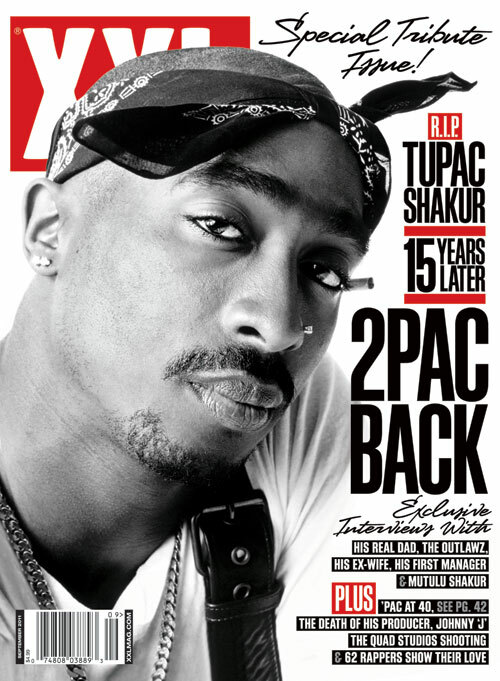 XXL pays homage to the beloved, fallen rap legend in the mag’s forthcoming September issue, celebrating all things ’Pac. For the special tribute issue, XXL Editor-In-Chief Vanessa Satten sat down with Tupac’s biological father, Bill Garland. Among the interesting and revealing topics discussed, Mr. Garland offered a heartfelt description of his son’s giving nature. “[Tupac] cared for people,” he said. In addition, XXL spoke with ’Pac’s ex-wife, Keisha Morris, who shared the intimate details of their relationship. “I knew Tupac,” she said. XXL also talked to Tupac’s first manager and one-time roommate and mentor, Leila Steinberg, who gave insight into the special nature of her superstar client and their close relationship. There’s also an interview with Mutulu Shakur, ’Pac’s stepfather who helped raise the MC until the age of 11 and checks in from behind bars to celebrate ’Pac’s legacy. XXL also spoke with ’Pac’s group, the Outlawz, dug into the tragic passing of one of Pac’s favorite producers Johnny J. and investigated the real story behind ’Pac’s Quad studio shooting recently brought to light with the confession of ex-Jimmy Henchman associate, Dexter Issac, to the robbery and shooting of Tupac in 1994. And finally, 62 rappers remember ’Pac and speak on his impact and legacy. Outside of the Tupac tribute, XXL reviews Game’s long-delayed, fourth solo LP, The R.E.D. Album, shares some of the jaw-dropping photos from Tech N9ne’s All 6s & 7s Tour and introduces Charlie Boy Gang and Chevy Woods in Show & Prove. 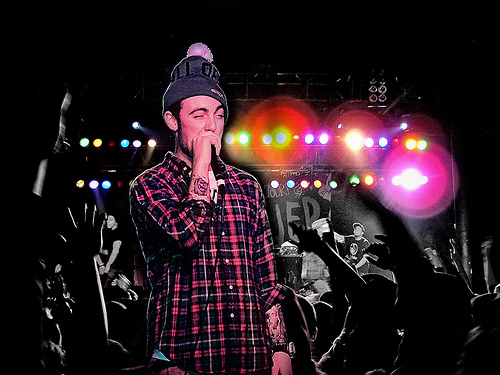 Pick up XXL’s September 2011 issue, hitting newsstands nationwide on August 16. But Hil said he actually signed with the label months ago. Hil, who was previously signed to Swizz Beatz’s Full Surface Records for three years, has independently released a steady stream of freestyles, songs and mixtapes, including the Lonely Limo series. He said Warner Bros. first became interested in him through R&B artist The Weeknd. While Hil’s indie status has changed, his style hasn’t, so listeners can expect more of the dystopian, drug-fueled tales he’s known for. This fall, he plans to drop the EP, Support Your Local Drug Dealer, followed by an as-yet untitled album and possible mixtape with Lex Luger. 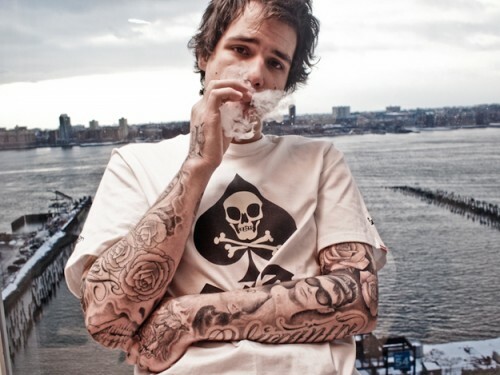 Though Luger is one of the most sought-after producers in the current hip-hop scene, Hil said Luger actually approached him about working together. 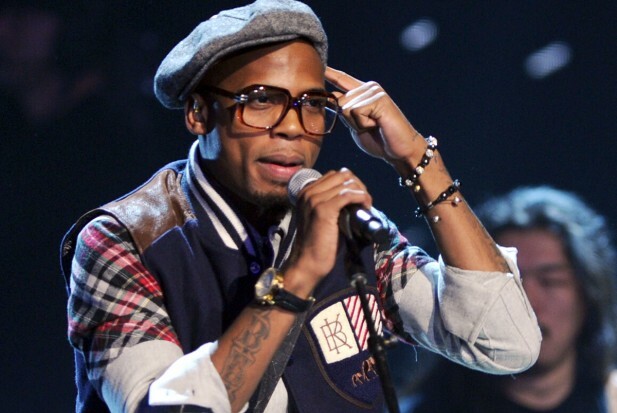 Hil’s success and news of his official deal have naturally drawn praise from family and friends, including his father – who not only supports Hil’s career in music, but apparently envies it. “My dad couldn’t be more proud,” Hil says. “He kinda tells me sometimes like he’s jealous, he’s like ‘Man, if I knew how to make music, I would have made [records] instead of clothes.’ He tells me that all the time, kinda like he lives vicariously me through me, you know? First track off the 2011 Freshmen class: the mixtape with Dj Whoo Kid ! XXl released the Freshman list for 2011. Clockwise from left: Diggy Simmons, Kendrick Lamar, Meek Mill, Big K.R.I.T., CyHi Da Prynce, Lil Twist, Yelawolf, Fred The Godson, Mac Miller, YG and Lil B.